Image: Daniel, Will, and Elisa working on the cores at GFZ. 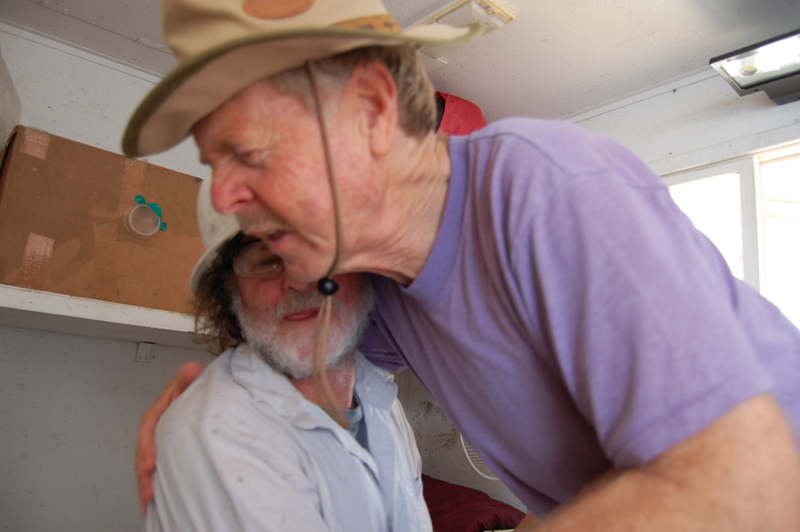 Image: Head PIs Zvi Ben-Avraham and Moti Stein together one last time on the rig. Image: Steve Cole makes final adjustments to the transportation to the barge at its new location (photo: Moti Stein). Image: Sometimes dreams do come true. 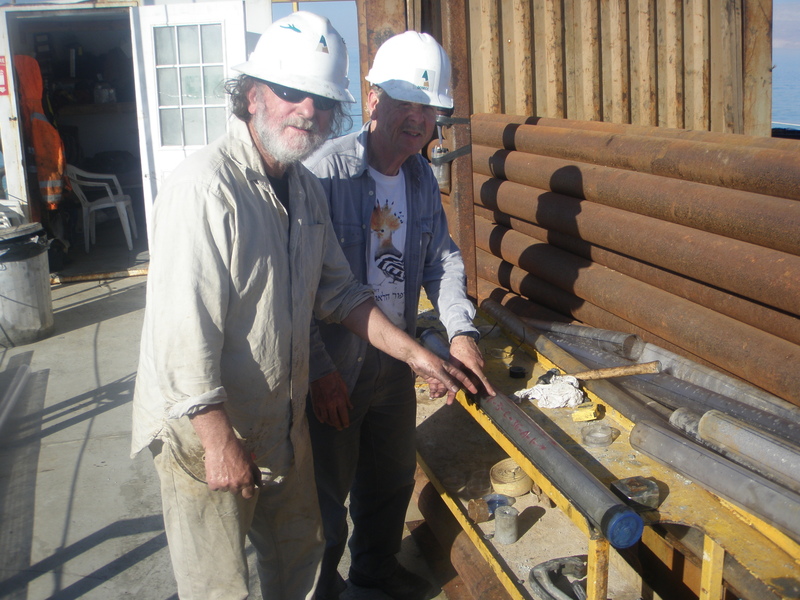 Head Principal Investigators and dreamers Moti Stein and Zvi Ben-Avraham share a happy moment on the rig. 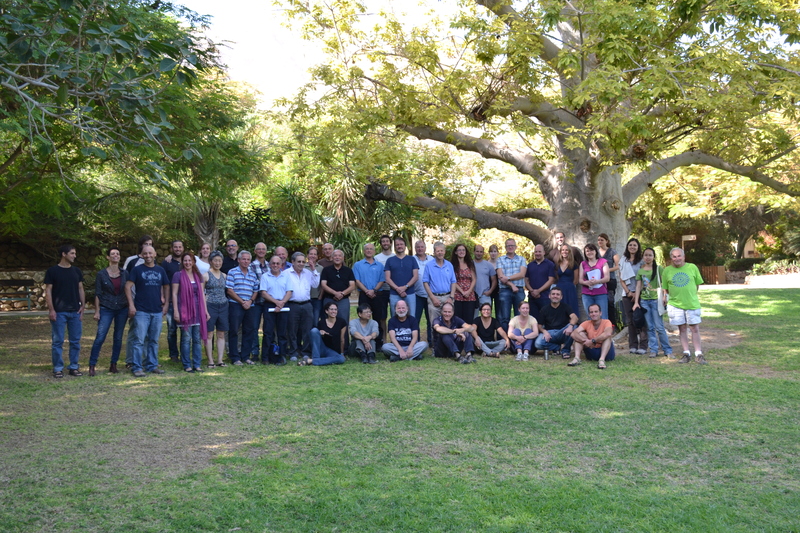 Image: Project 5017, Site 2, Hole A - a definite improvement in working conditions! 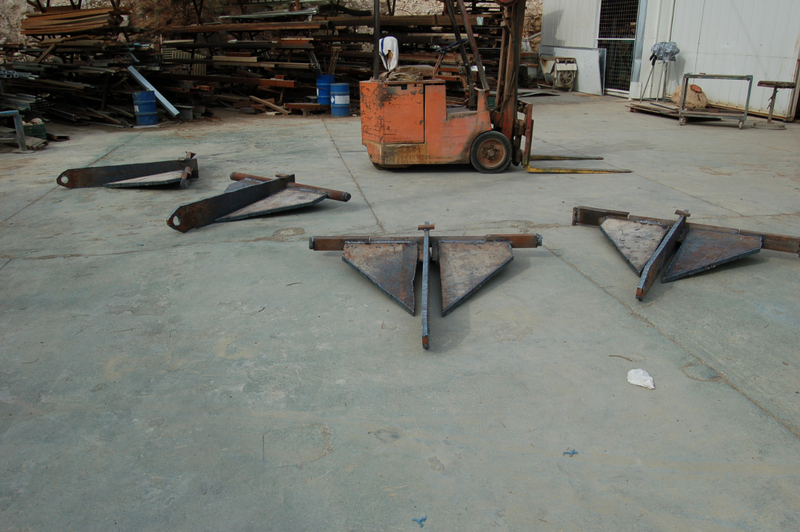 Image: The 4 anchors built by the Project Manager with the help of Giora, Lior, and Shachar from Ein Gedi. 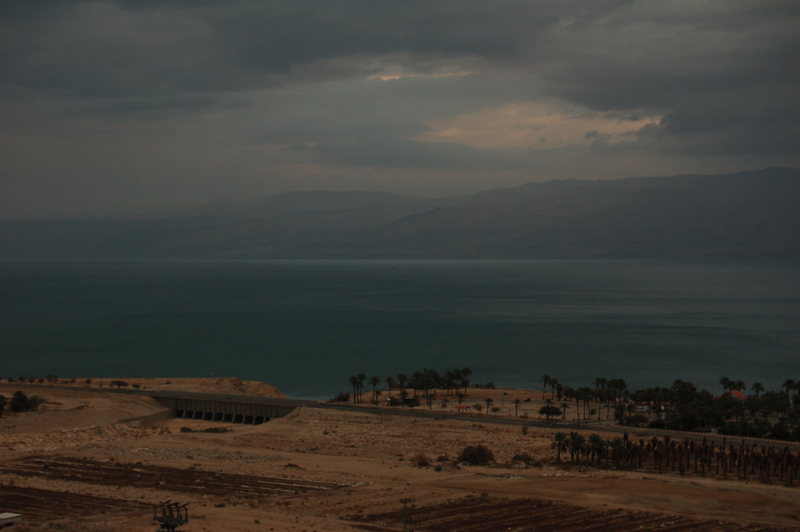 Image: View of the Dead Sea from Ein Gedi before the rain. 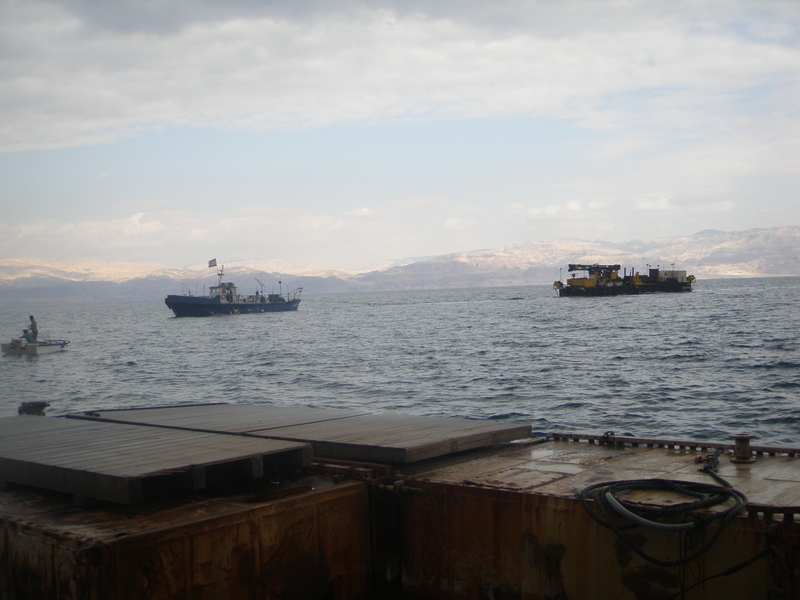 Can you spot the drill rig? 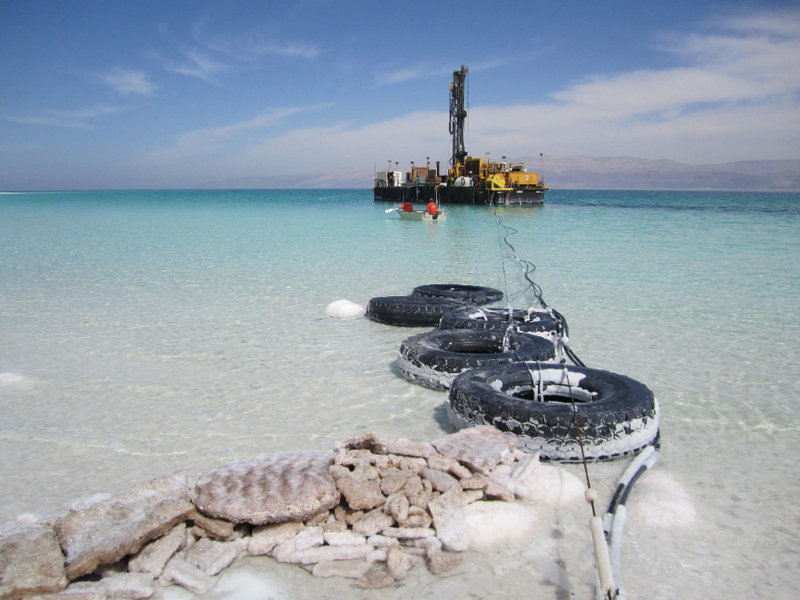 Dec. 06, 2011: After it "died" once, will Dead Sea die again? 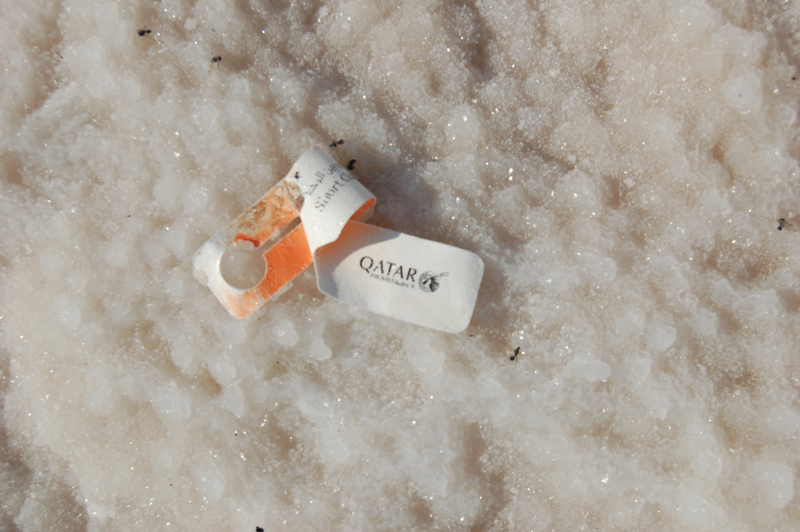 Dec. 21, 2010: After it "died" once, will Dead Sea die again? 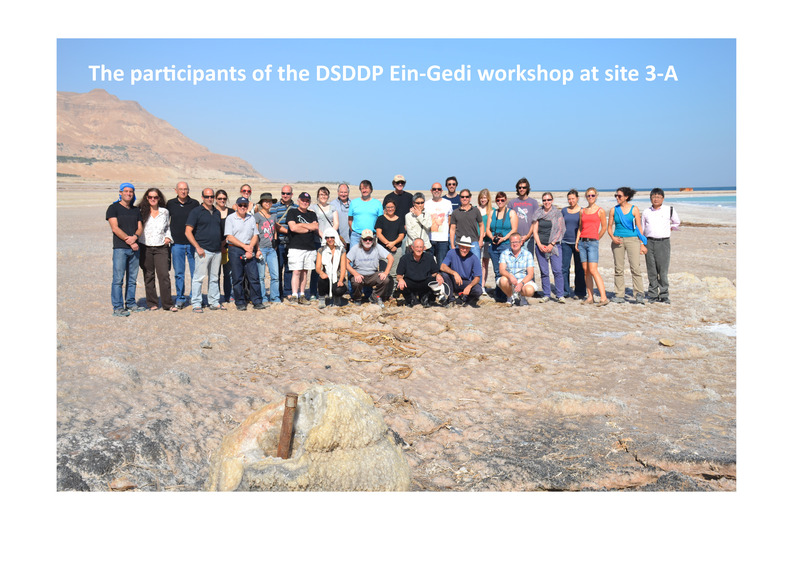 On Wednesday, the GeoForschungsZentrum Potsdam (GFZ) begins a two day meeting of senior geoscientists from China, the U.S., France, Spain, Greece and Germany.